I spoke with a source close to Sooners running back, Rodney Anderson. As you all know, Anderson left the game versus UCLA with, what appeared to be, a lower-body injury. Source tells me that Rodney Anderson suffered a torn ACL. I am told that the surgery to repair his knee has already been scheduled. The Sooners have a lot to be happy about coming out of their 49-21 win, but there are a few things that OU needs to improve on, and the injury to captain and team leader, Rodney Anderson, hangs over the program like a storm cloud. Let’s start by talking about the elephant in the room: the injury to Rodney Anderson. ***Sunday evening, OU Head Coach Lincoln Riley announced that Rodney Anderson would be lost for the year due to the injury that he suffered in the game against UCLA. ***Rodney will be missed on the field, but we hope and pray for a full recovery and prosperous life and career for the young man who has given all he had to the Sooner program, both on and off the field. ***It appears that after two games, it is safe to say that OU has a nice defense. People thought I was crazy in the off-season when I was telling folks that OU had great exceptions for the defense, but after two games it is safe to say there are more athletes on the unit. ***The Sooners appear to be much better in the front seven when compared to past years, and Justin Broiles and Bookie are making a big difference in the secondary. ***Against UCLA OU had six sacks, 10 tackles for a loss and they held the Bruins to 383-yards total offense, which included only 129-yards rushing at a clip of 2.6 yards per rush. ***Coach Mike was dialing up the pressure as cornerbacks Tre Brown and Tre Norwood both had a sack and so did linebackers, Curtis Bolton and Kenneth Murray. Do you like Curtis Buzzy Bolton yet? ***After Bolton’s second straight great game I had to laugh because I had people coming up to me asking ‘Hey who is this Bolton guy and where has he been for the lasts three years?’. Well, Bolton has spent as much in the training room as he has on the field throughout his career, but people should have remembered Bolton from all the plays he has made on special teams and as a pass rusher when he was healthy. Bolton has missed basically two years because of injuries and the fact that he’s fully healthy is allowing him to give us a total picture of all the things that he can do on a football field. ***Bolton is one of OU’s best special teams player along with Tre Brown. Buzzy recovered a blocked punt last week for a touchdown, and almost blocked two this week. ***At linebacker, Buzzy is a natural blitzer and offensive lineman can’t seem to get their hands on him. That led to Bolton getting 1.5 sacks and 2 tackles for loss to go along with his eight total tackles. ***I was shocked to learn that Kenneth Murray did not have an assist or a tackle against FAU. I think he was too and the coaches were also because, throughout the week, people around the program mentioned that he had actually played pretty well. They indicated the game plan used by FAU didn’t really challenge the MIKE backer and they felt he was assignment sound in the game. ***Well UCLA came into the game and challenged the MIKE backer and they found out OU has a good one. I’m told that the coaches love the tremendous athletic ability that Murray possesses and it was on full display against the Bruins. ***Murray was like a rocket racing all over the field and when your MIKE backer is as fast, or faster than the opposing running back and some receivers, that is a big advantage for OU. ***Murray was assignment sound again, showing better maturity from a year ago, and he was all over the field finishing with nine tackles with one sack and 2.5 tackles for loss. Does OU have the best wide receiver corps in the country? ***Kyler Murray said after the game that OU had the best offense in the country and he also said that he will take his receivers and stack them up against any other programs receivers in the country. I don’t blame him, and I’m with him, I feel OU’s receivers are the best in the country. ***Following the game, everybody was hyped about the play of the wide receivers, especially outside receivers CeeDee Lamb and Marquise (Hollywood) Brown, as well they should have been. ***A.D. Miller got another touchdown and this time, he managed to avoid the official. ***As good as Hollywood and Miller were, the day belonged to Lamb who had a rare moment in the game where a non-catch was the highlight play of the day. ***”He’s capable of making some spectacular ones,” Riley said of the catch. “It is a shame his foot wasn’t down. We’ve seen him in practice do some pretty good stuff. I’m not surprised he caught it. Now was it awesome? Damn, right it was”. For Lamb, it was just another one-handed catch. ***Lamb wore out the highly regarded Bruin secondary all day by catching seven passes for 146 yards and one touchdown. ***His partner Hollywood had another big catch for 58-yards and a touchdown from Murray. He finished with 88 yards on four catches. Miller had a 10-yard catch for a score and finished with two-catches for 25-yards. ***Miller actually started over Lamb in the game. I’m told that this is something that the coaching staff is doing this year. What I’m being told is that if there are position battles and the backup has a better week of practice they are going to give him the start. Miller’s start only lasted one play and then Lamb was on the field and they went back to their regular rotation at the X-receiver. ***At center redshirt freshman Creed Humphrey got his first start and it was a legitimate start as senior Jonathan Alvarez didn’t come in until the second unit came in in the fourth quarter. ***Caleb Kelly didn’t play until the second unit came in during the fourth quarter because I’m told that he missed Thursday’s practice because of a family issue. Coaches understand there will always be off-the-field issues and family issues, but you are expected to work through those things off the field and not miss meetings or practice. Kelly missed one this week and paid the price by not getting into the game until garbage time, however, with the way Buzzy played, he still may not have gotten in until that point. ***It is going to be interesting to see how Kelly gets on the field this week because Bolton is playing great and ‘Jack’ backer Mark Jackson Jr. led the Sooners with 10 tackles, a half sack, and one tackle for loss. ***Things weren’t perfect for OU. The Sooners continued to struggle on yardage in short-yardage and the secondary did give up one 79-yards pass that led to the Bruins first touchdown. 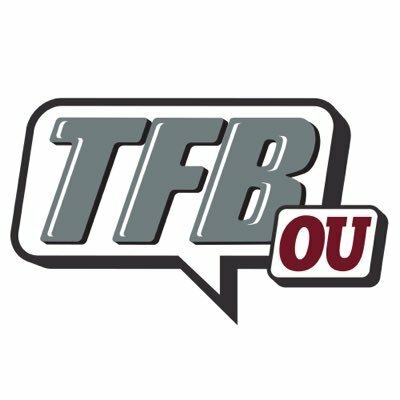 ***OU was in short-yardage situations 10 times and only converted five. Granted UCLA stacked the box and made it hard on OU to run the ball against, but Murray struggled to hit swing passes to running backs and that is a staple against stacked boxes, Murray has to get that problem worked out. Plus with the Sooners massive offensive line, they should be able to convert third and one-or-two. ***The Sooners will open Big 12 play this Saturday when they travel to Iowa State. That will be the first road test for Kyler Murray and company. Coach Riley has always stated that OU loves to go on the road. Iowa State had their season opener rained out and on Saturday, they lost their first game played in 2018 on the road at Iowa 13-3. Of course, OU has been living for a year with their shocking upset loss to the Cyclones at home 38-31. It will be another 11:00 AM kick.